A special blend from Blue Spruce to Golden Oak. 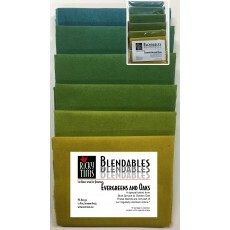 These blends are not parhese blends are not a part of our regularly stocked colors. Note: This is hand-dyed fabric and there may be a slight variation in pattern and hue from dye lot to dye lot.